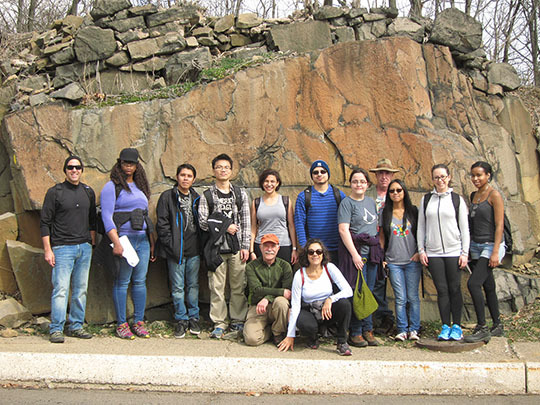 Environmental Studies, Geography and GIS majors learning about the geology and geomorphology of the Palisades. With Frank Bounaiuto, Peter Matt and Haydee Salmun. February 25, 2017.